Don’t you love sliders? They are teeny flavor bombs, and you can eat two and not feel like a complete pig. Although pigs don’t actually eat that much. Birds, on the other hand, eat ridiculous amounts of food every day. But, I digress. These little burgers are so delectable. 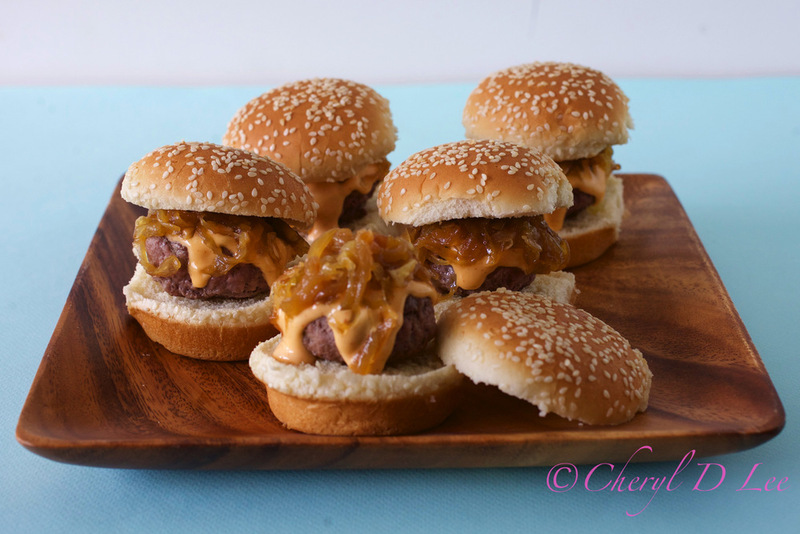 Sweet caramelized onion, spicy mayo and a meaty meat burger. I barely got the photography done for this recipe, because I wanted to eat another burger as soon as I could! Pop over to Mom.me for the recipe for these tasty burgers.